by Alfredo Castelli and Giancarlo Alessandrini. 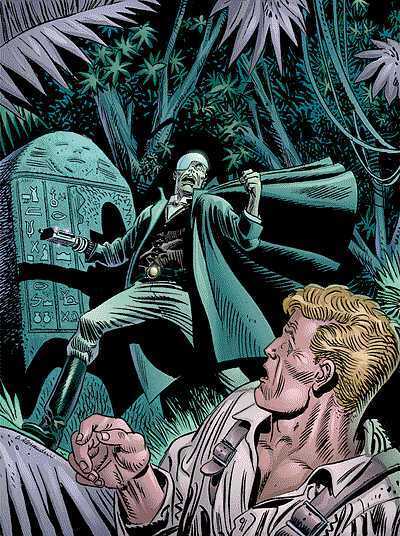 After making an amazing discovery in Belize, Professor Howard has disappeared. The only clue left to point the way is a note he wrote to his daughter where he claimed that because of his discovery he would be punished by Ra. Not knowing what to do, Professor Howard's daughter turns to Martin Mystery for help. Now it's up to Martin to find the missing professor and solve the mystery of Ra! Note: translation of Martin's Italian numbers 2 & 3, "La vendetta di Râ" and "Operazione Arca".